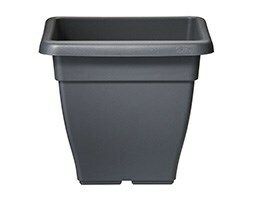 Create statement displays for patios or entrances with these large outdoor pots. Cylindrical and embellished with frieze detail, the classically styled pots lend a grand and formal air to any garden - perfect for displaying manicured and topiary plants like buxus balls. 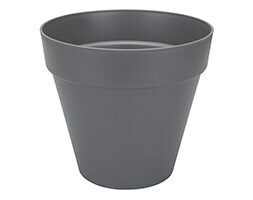 Designed with professional gardeners, the pots are made from high-quality lightweight plastic with a base that offers optimum drainage and aeration. The waterproof and non-porous plastic impedes bacterial growth and stops the soil drying out, and is both frost-proof (withstanding temperatures as low as -20 degrees C), and UV-resistant (so it stays looking new for longer). 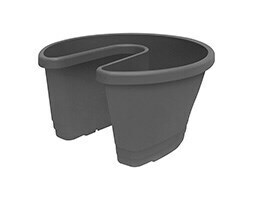 Each pot includes a set of wheels which clicks into place and allows easy transportation around the garden.